sitting at the keypad like an idiot… forgot it was monday! Anyone know code for site charlie?? 3 posts, last by Carlton 2 months ago. Credits to franks-and-beans who originally posted this list on Reddit! 4 posts, last by Peter Cauchy 1 month ago. Meet Peaches, my new C.A.M.P. security system! 7 posts, last by Micheal 3 months ago. There are 5 The Mire treasure maps which guide you to treasures buried in The Mire. Each one shows a specific location you have to find so that you can dig up the treasure. 2 posts, last by Matthew M 3 months ago. 7 posts, last by JP 2 months ago. 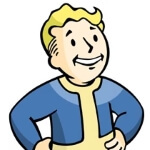 There’s a current limit to the in-game stash in Fallout 76, it only allows 400 weight in items to be stored inside at current. This guide is intent on alleviating some of that strain on precious storage space! 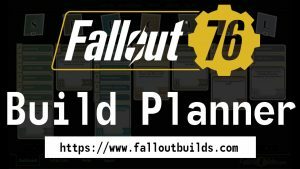 All over the map of Fallout 76 you can find a lot of workshops which you can claim. Each workshop provides miscellaneous resources, e.g. Aluminium, Silver,… In addition you get a free fast travel spot and free ressources to build defenses and excavators. Shown in the following map are the locations of all workshops available in Fallout 76 at the moment. You can find more details regarding each workshop underneath (number on the map = number of the workshop in the list). 6 posts, last by Noa Yarnell 3 months ago. 76 posts, last by eric120045 1 week ago. MEGA GUIDE: Best locations to farm legendary items in Fallout 76! 4 posts, last by Zamocny 3 months ago. There are 10 Savage Divide treasure maps which guide you to treasures buried in Savage Divide. Each one shows a specific location you have to find so that you can dig up the treasure. This forum has 41 topics, 135 replies, and was last updated 1 week, 1 day ago by eric120045.